Trump: Very Low IQ Robert De Niro Has Brain Damage - Joe.My.God. 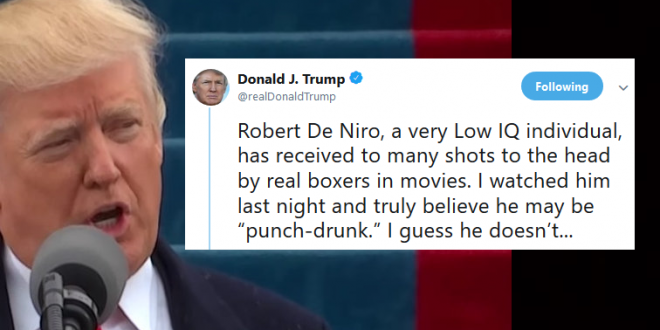 De Niro, of course, won the Oscar for his portrayal of boxer Jake LaMotta in Martin Scorcese’s 1980 classic Raging Bull. Nobody else has accused De Niro of brain damage, but millions have wondered if Trump suffers from dementia.